Pimpernel is the premier brand belong to Portmeirion and is for placemats, coasters, trays and tabletop accessories. This quality coaster uses a 5mm board topped with a unique and exclusive art prints and is totally sealed with a high quality coating that is both stain and heat resistant to 100°C. The coaster is then finished with a hardwearing cork back that protects precious furniture. 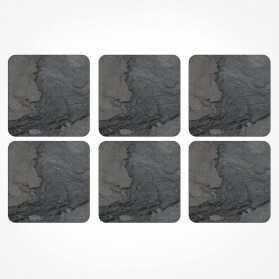 The prints represents slate midnight and you will also find the perfect placemat to match like same matching slate Placemats. 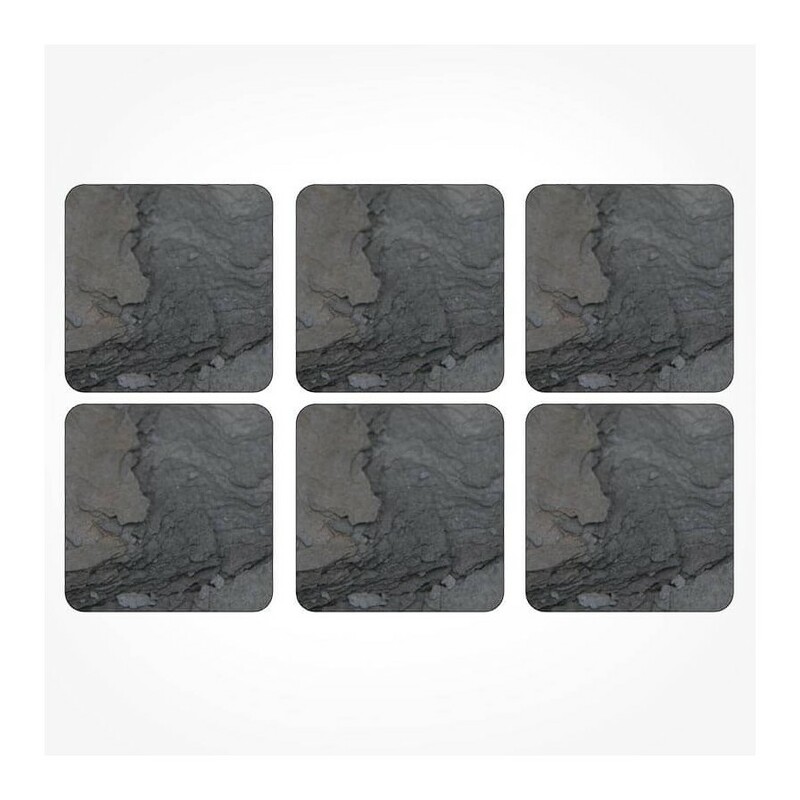 These coasters come as a set of 6.